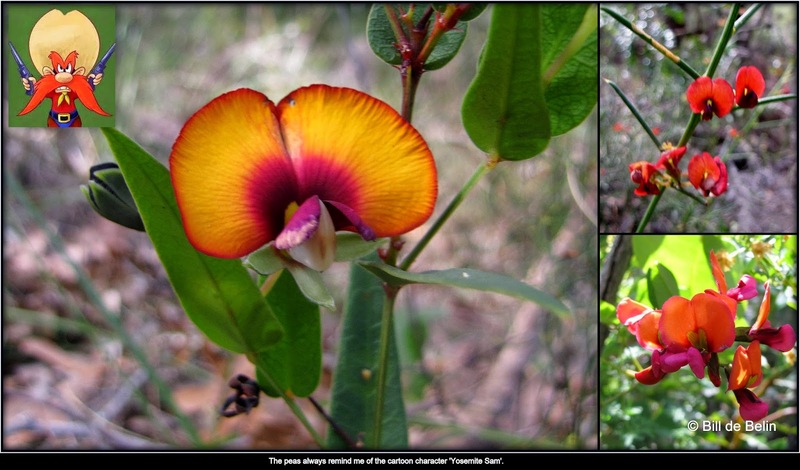 GUMNUTS.....AND OTHER STUFF: West Australian Wildflower Trip. Day 9, Pemberton to Augusta 17th Sept 2014. 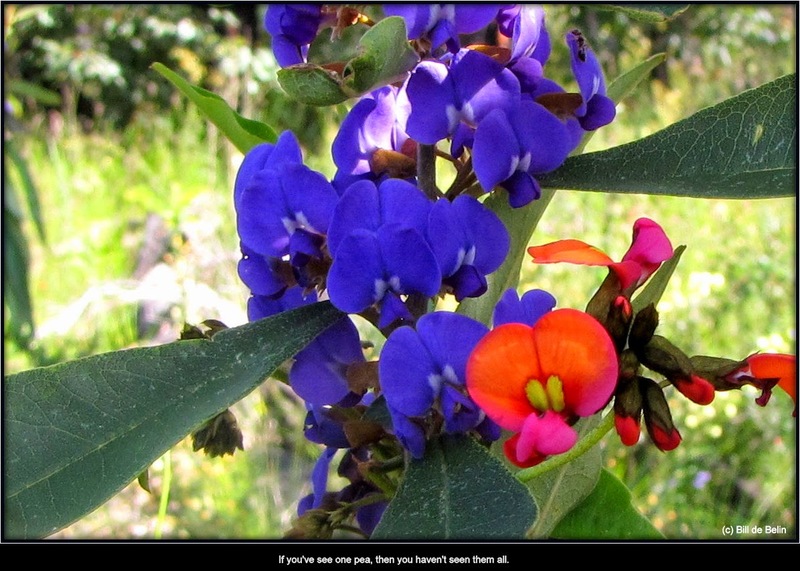 West Australian Wildflower Trip. 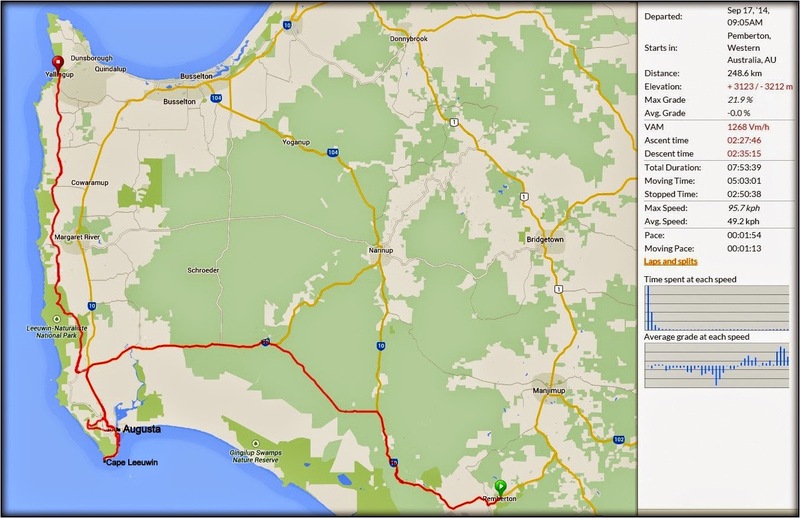 Day 9, Pemberton to Augusta 17th Sept 2014. A change of oceans for us today, we go from the Southern Ocean to the Indian Ocean. We leave Pemberton, crossing the south west tip of the state, to stay two night at Seashells in Yallingup doing a couple of touristy things by visiting Cape Leeuwin Lighthouse and Lake Cave. Lunch today was at Augusta, the most south-western town in Australia, situated on the slopes of Hardy Inlet. Today we also started to see a 'mystery plant' from the bus, but there were none at any of the stops we made. I'm now starting to be obsessed by this plant we started calling 'the pineapple plant', as at first no-one else could see it, and then not knowing what it was called and not stopping to have a look at it .....maybe tomorrow. Earlier in the trip Angus told a story regarding the 'red underpants-plant', today I found, well, you will see when you see the photo. Day 9, 17th Sept. Pemberton to Yallingup 249 km's. 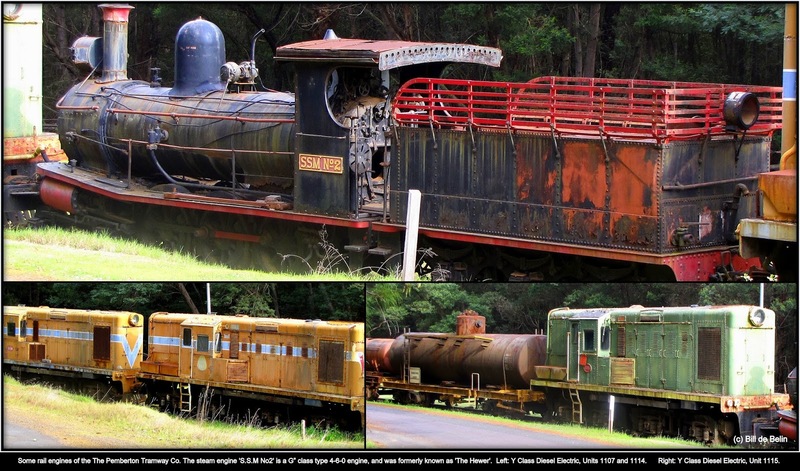 Some rail engines of the The Pemberton Tramway Co. The steam engine 'S.S.M No2' is a G” class type 4-6-0 engine, and was formerly known as 'The Hewer'. Left: Y Class Diesel Electric, Units 1107 and 1114. Right: Y Class Diesel Electric, Unit 1115. 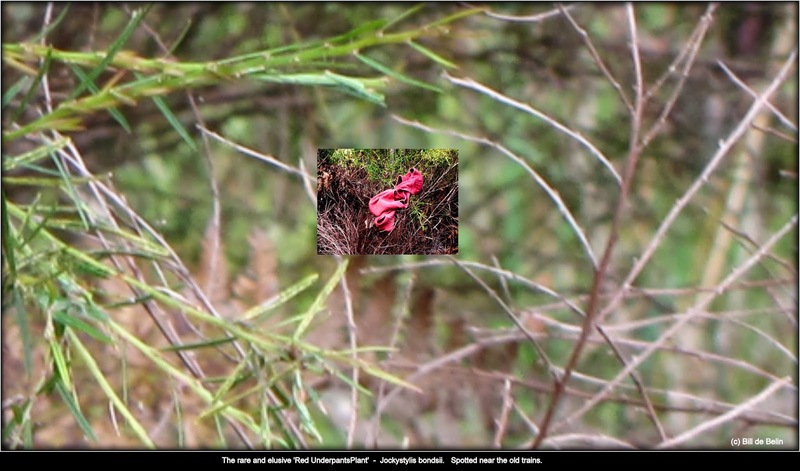 The rare and elusive 'Red UnderpantsPlant' - Jockystylis bondsii. Spotted near the old trains. Patersonia umbrosa - Yellow Flags. The dangling orange bit is the shrivelled remains of a flower. 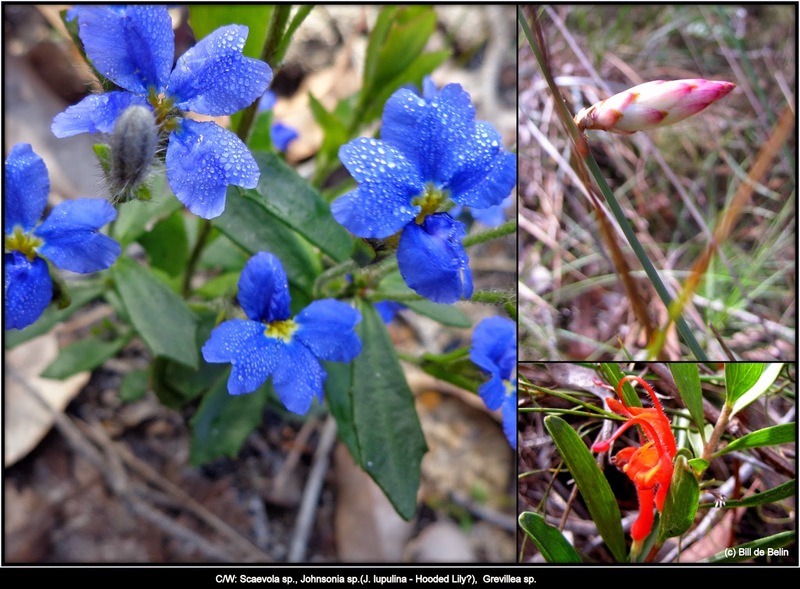 C/W: Scaevola sp., Johnsonia sp.(J. lupulina - Hooded Lily? 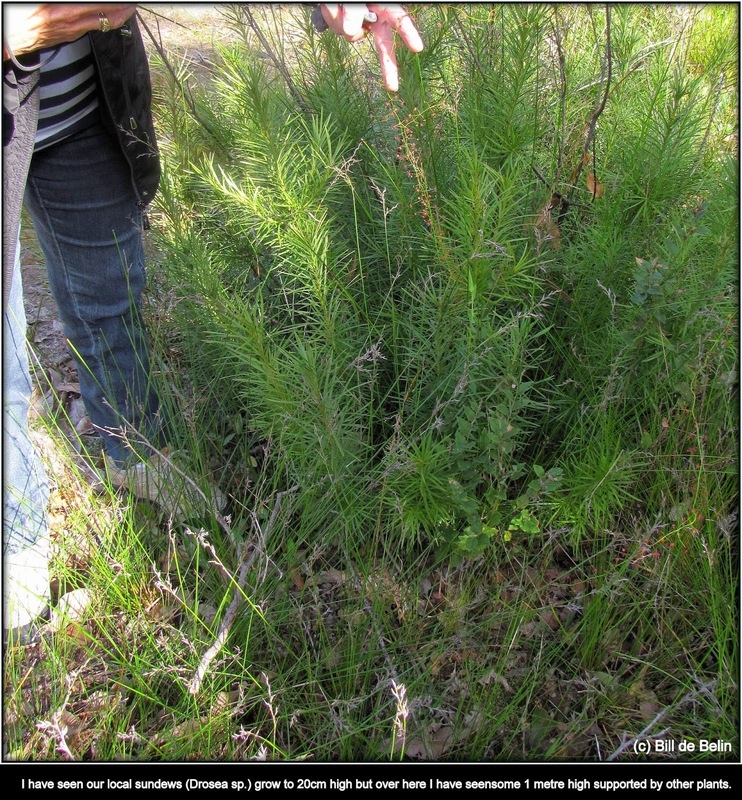 ), Grevillea sp. 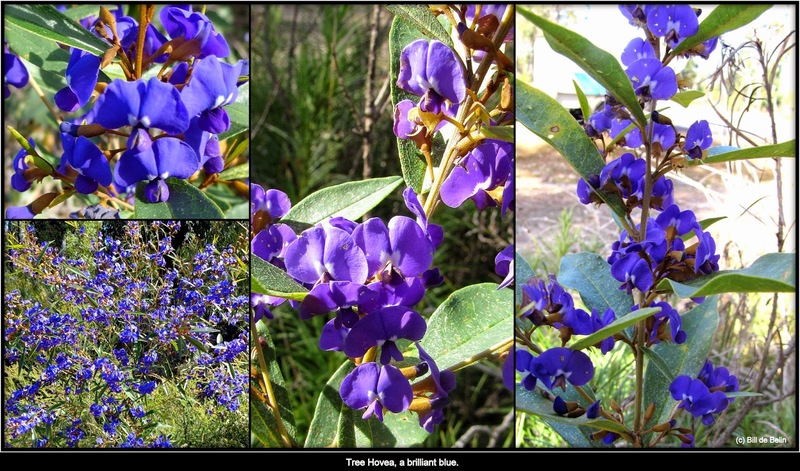 Tree Hovea, a brilliant blue. If you've see one pea, then you haven't seen them all. The peas always remind me of the cartoon character 'Yosemite Sam'. Still finding the Jug Orchid (Pterostylis recurva). 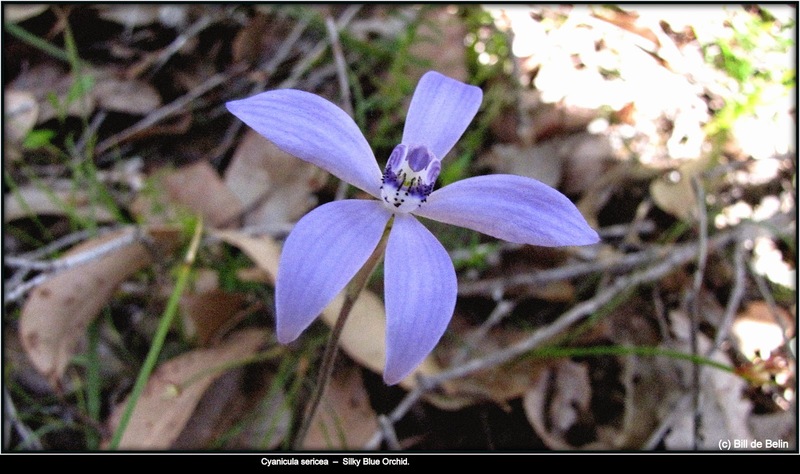 Cyanicula sericea – Silky Blue Orchid. 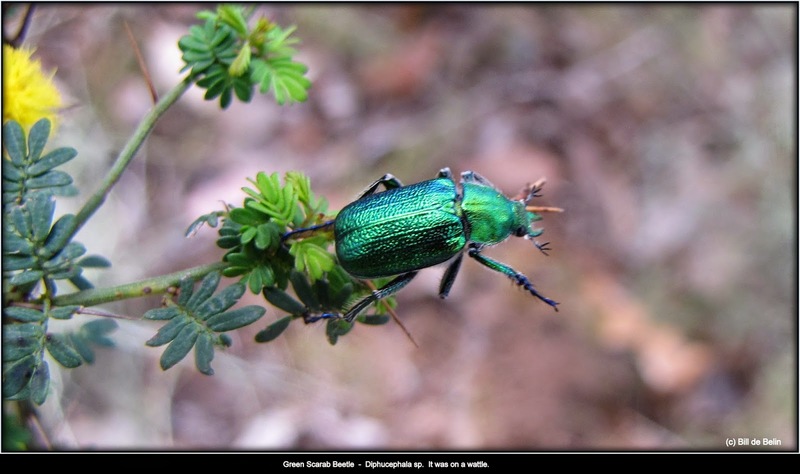 Green Scarab Beetle - Diphucephala sp. It was on a wattle. C/W: not sure, no idea, Conostylis sp. - Cottonheads. 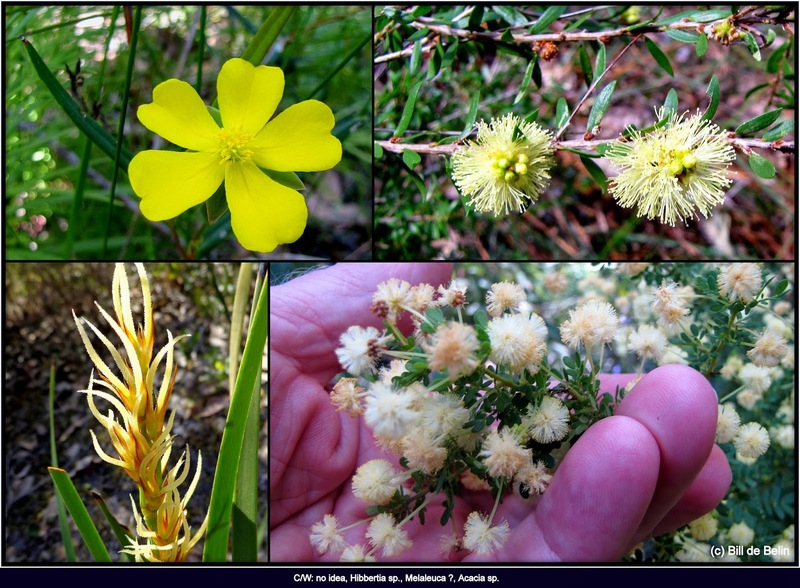 C/W: no idea, Hibbertia sp., Melaleuca ?, Acacia sp. over here I have seen some 1 metre high supported by other plants. Driving through Milyeannup State Forest. Driving through State Forest 63. Crossing over the Blackwood River. Cape Leeuwin Lighthouse WA. Historic Cape Leeuwin Lighthouse is situated at the most south westerly tip of Australia. Capt'n Cow and her cocky Cocky. White flower could be Harlequin Flower (Sparaxis bulbifera), orange is Gazania and yellow is, of course, CAPE Weed. shipwrecks reported in the area after the settlers arrived in 1830. Trying to stop Cape Leeuwin Lighthouse from sliding down the slope. When the ice melts, the Southern Ocean we be the same height. Line up with the white marker and you can see where it joins. The changing of the guard, Norma and Lorraine. Another new bird for me was the Rock Parrot (Neophema petrophila), here feeding on a Leucopogon. Rock Parrot at Cape Leeuwin WA. Not sure if these are locals or blow-ins. Big flower for such a small plant. Richard's Pipit (Anthus richardi) is quite common in grasslands. If there was going to be fancy dress tonight, Lynn was going as a lighthouse. international identities that have helped shape the town's history. Miss Flinders crosses over the Blackwood River, the largest river in the South of WA, to Molloy Island. This is Norma having lunch, not Miss Flinders. Augusta, on the Blackwood River. Street kids, or are they the 'Augusta Gang'. How old would this old Grass Tree be? The happy Ross Tour's 'Wildflower Wanderers' and Grass Tree. C/W: Fruits of the False Boronia, Sundew (Drosea sp.) flowers, not sure. Karri Trees at Caves Rd 'leg stretch' stop. C/W: Pterostylis sp. 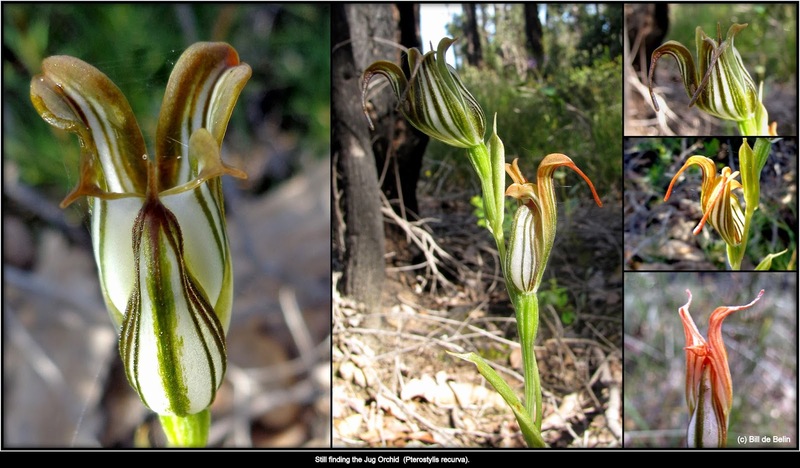 - Short-eared Snail Orchid, Asplenium flabellifolium - Necklace Fern, the end of a Helmet Orchid ? Driving along Green Hill Road. The entrance to Lake Cave. The view down through the 'floor' at Lake Cave. 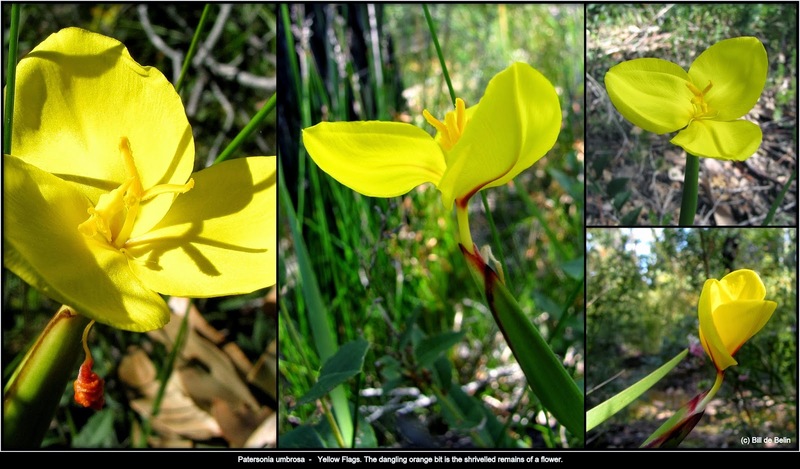 Left and bottom right: Diuris sp. (D. longifolia - Purple Pansy Orchid ?) 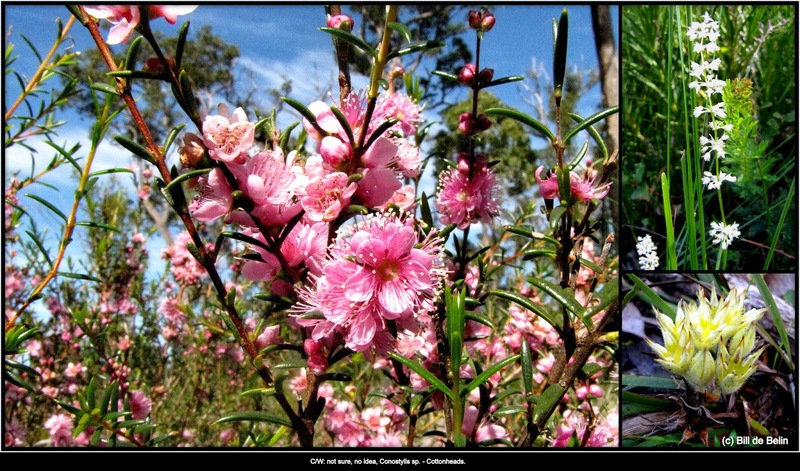 Top right: Templetonia retusa - Cockies Tongue. On the balcony at Seashells. Caves House from our balcony. Scroll to bottom of page, Click on 'Older Posts' to go to Day 10 (next day).